Muhammad Jafar Shamlu , who was present at Panipat , is the most reliable and accurate source. He was in the camp of Shah Pasand Khan who formed the vanguard division of the army and Ahmad Shah's paiks and harkaras (couriers and messengers) were under him . According to him , Ahmad Shah Abdali had with him a total force of 1,14,000 horse and foot and 185 guns while the Maratha force, in addition to 30,000 Gardi infantry, numbered 3,50,000 horse and foot when Bhau entered Delhi. According to Kashi Raj Pandit, another eyewitness of the battle, the estimated strength of Afghan army was 80,000 with 40,000 horse and 40,000 foot and they had 40 pieces of artillery while the Marathas were estimated to be 94,000 troops (55,000 cavalry, 15000 infantry, 15,000 Pindaris ,3,000 horse under Vakils of Rathore and Kacchi Rajputs, and 6,000 under Bhowani Shunkar who was left in Delhi) . Both sides had immense numbers of camp followers. Gul-i-Rahmat of Sad Yar Khan (grandson of Hafiz Rahmat Khan) give the number of the Maratha forces at three lacs. 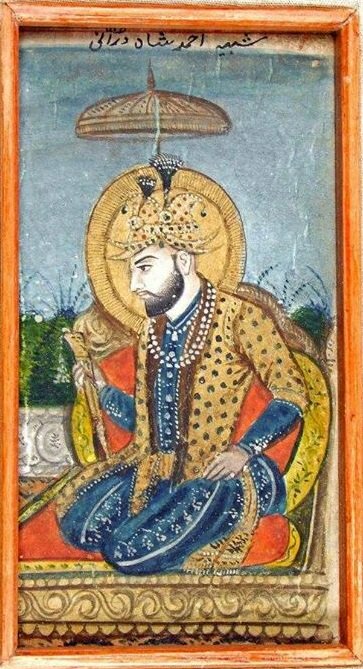 According to Gulistan-i-Rahmat of Muhammad Mustajab Khan (son of Hafiz Rahmat Khan) , the Afghan army exceeded one hundred thousand fighting men consisting of thirty thousands Durrani horse, thirty thousands Rohilla horse and foot under Hafiz Rahmat Khan, fifteen thousands troops under Najib-ud-daula, seven thousands troops under Shuja-ud-Daula, five thousands troops under Ahmad Khan Bangash ; besides other of less note. In local tales common among the people of Panipat the number of Maratha troops is raised to nine lacs, which seems an exaggeration. The veteran lieutenant of the Asiatic Napoleon , Ahmad Shah placed over half of his own national troops (18,000) in the center in charge of his wazir , while two other corps ,about 5,000 each , mostly cavalry mounted on superb Persian horses – were sent to his extreme right and left. These divisions on the extreme wings rendered the favourite Maratha tactics of a flank attack impossible and thus heartened his Indian associates by guarding them against such a danger. Abdali placed Najib (with Shuja) on the left and the Par Rohillas on the right of his center. Ahmad Khan Bangash's men stood in the right wing. The battle began, as usual in that age, with a cannonade. The Maratha guns were larger and, owing to reckless aiming and faulty elevation, their shots fell harmlessly behind the Shah's troops. The Abdali, like a wise general, reserved his fire at this stage, letting his enemies waste their powder. His own strength lay, not in big cannon , but in camel-swivels ; and these he was resolved to use only at the right moment. After this preliminary cannonade , the clash of arms began. 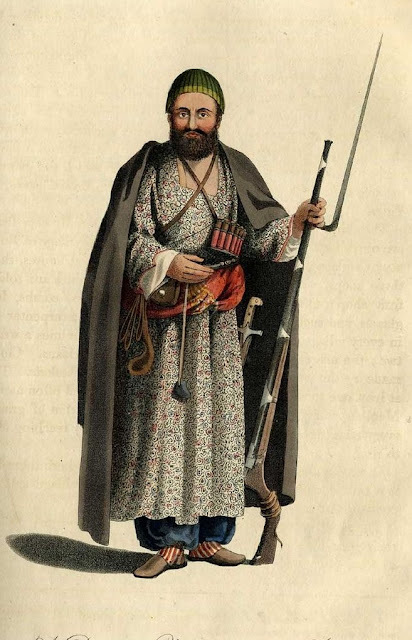 Ibrarhim Khan Gardi personally led the attack with his 30,000 Talinga Gardis. Throwing two of his sepoy battalions obliquely forward on his left hand to hold the Abdali division under Barkhurdar Khan outflanking him , he with the other seven battalions fell straight upon the forces of Hafiz Rahmat Khan , Dundi Khan and Ahmad Bangash. The distant roar of cannon and rattle of musketry ceased , and soon afterwards the antagonists grappled together in a confused mass. A most obstinate battle raged for hours and in which an immense number on both sides were slain. The Rohillas fought with their wonted valour , but at first European training and discipline of Gardis seemed to triumph. The grim Rohilla-Gardi duel went on for over three hours, at the end of which Rohilla tenacity began to tell against the Gardi sepoys. They lost the superior advantage of their training in the confused hand-to-hand fighting in which Rohillas had upper hand. Ibrahim Khan's force was almost annihilated , and only small number of the French-trained Gardi infantry survived who dispersed in flight from the field. Simultaneously with Ibrahim Khan's advance against the Shah's right wing, the Bhau had launched his own division in an attack on the Durrani center where the Wazir Shah Wali Khan commanded in person. Bhau charged into the Afghan center with the whole force of his vast household cavalry of eighty thousands at full gallop. Marathas broke through three lines of Afghans and their center was thrown into confusion. The desperate fury of the Maratha charge at first seemed to carry every thing before it. Haji Atai Khan Popalzai, the slayer of Govind Ballal, fell with nearly 3,000 other Durranis, their surviving comrades were pushed backwards. But even at the center the Afghan line held. The hand-to-hand combat swayed to and fro with each individual group's charge and counter-charge , indecisively for three hours. Ahmad Shah saw that an undue strain was being put on his army. He summoned his troops known as Bashghuls , consisting of Qizalbash slaves , six thousands in number. He said to them : "Young men , this is the time. Surround them". The three squadrons of slaves moved out from three sides and brought the vanguard of the Bhau's army under musket fire all at once , and swept away their firm stand. The Maratha vanguard retreated and mixed with divisions under the Bhau himself. A great tumult arose ; men turned their faces to flight. The Bhau's personal guards showed some firmness and kept standing at some places. One squadron of slaves , numbering 2000 men, came from the right and after firing off their muskets went away to the left. Another squadron which came from the left , after emptying their muskets, went away to the right. The third squadron which came from the front , discharged their muskets at the Bhau's vanguard and then turned to the rear. Before the enemy could recover , these men had loaded their muskets again and arrived , the left squadron on the right wing , and the right squadron on the left wing , while the squadron that had been originally in front fell on the rear. It looked as if on all four sides troops were attacking the Marathas simultaneously. The fighting went on in this manner. The Maratha soldiers who had been spread over the field drew together into a knot at their center. It came to such a pass that these three squadrons enveloped that lakh of troopers and revolved around them. When Ahmad Shah saw that Bhau's troops had been shaken and some of them had taken to flight, he ordered the Wazir's troops to reinforce the Bashghuls. They consequently joined the Slave corps. Just at this juncture Vishwas Rao, who was in reality the leader of those forces , was hit by a gunshot. The Marathas saw defeat staring them in the face. Bhau galloped his horse forward with his personal troops who were experienced and tried. Ahmad Shah saw that the Marathas , making a great uproar and advancing straight , were coming right in front of the squadron of the Wazir. He, therefore, ordered the captain of the zamburchis to attack the troops of Bhau with zamburak camels. These camel-musketeers fired fifteen hundred rounds all at once. The well-mounted troopers of Bhau and some of his well known sardars fell down. The rest turned back and fled away. All this while the slaves and the Wazir's troops were busy with their work. Bhau made another assault but the zamburaks made him helpless. A large number of his followers were killed and he had to retire. On both the occasions the zamburchis pushed forward and the Marathas retreated. Ahmad Shah himself was standing near a camel musketeer. Three hours of the day were left . Only some royal elephants , the flag and kettle drum and about four or five thousand horse were still there, slowly moving about to save their own lives. 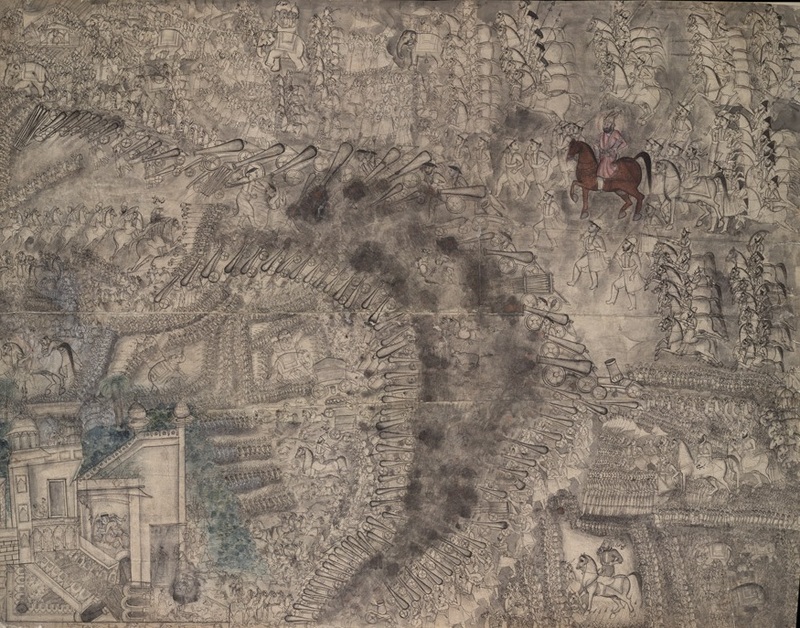 All at once the Shah ordered the squadrons of the Khans of his own tribe to attack and the Khans, eight thousands in number, moving all at one time and in one body, fell upon the Marathas. It was then when Bhau was killed and his head was cut off like the heads of others. The entire army then fell upon the fleeing Marathas. Jhanko Ji , Malhar Rao and other captains had a lakh of horsemen under them in the right wing. Najib-ud-daulah in the left wing of the Afghan army, had begun moving farther ahead towards them . A cool, calculating mind, brave and adventurous, even as he was clever and crafty, Najib had converted all his troops, 15,000 of them, into infantry. His movement, however, was an ingenious one. From his very large and abundant . Najib khan's troops, all converted into foot soldiers, made an extensive use of long range guns to fire volleys of 'two thousands shots simultaneously', at short intervals, which created a lot of noise and thick a pall of smoke'. It was done by him to frighten the enemy's horses and raise a smokescreen to facilitate the forward movement of his troops. As they progressed every quarter of mile, they would thrown breast-works of sand , a few steps in front of the line. This was designed to protect or offer cover for their advance and serve, at the same time, as an elevated ground for firing. He continued this peculiar action for about four hours until his troops had covered the distance of 4 kms . Arrived at last within firing range of Schindia troops, Najib attacked them , discharging two thousands rockets at a time , and "although the forces opposite to him wanted to attack him , they were convulsed and overpowered by the shock of this fire. Only at the end of the day, when all was almost over at the Maratha center and left wing, and the entire Afghan line advanced, Najib and Shah Pasand made an onset upon their opponents. Malhar first fled away, Schindia contingent also followed Holkar's example , leaving their chieftain to his fate. Jonkoji Schindia was wounded and driven upon the center , Jaswant Paur and a son of Pilaji Jadav fell , Shamsher Bahadur was mortally wounded , and the Maratha right wing ceased to exist. The pursuit of the Marathas was kept up till sunset but when the night fell the victors withdrew from the chase. According to contemporary Sayyad Nuruddin Hussain, who was personal servant of Mughal wazir Imad-ul-Mulk , "...the corpses of Maratha soldiers were uncountable , so that for some years after it was difficult for the peasants to cultivate these fields on account of the skeletons. Many men of the army who had taken refuge in the qasba of Panipat, were sought out by the Durranis and killed wherever found." Malhar Rao escaped in safety through the kindness of Najib-ud-daulah. Jonkoji Schindia too had come out of the field but was slain by the villagers of Hariana. According to S.M.Latif (author of "History of Panjab", 1889), "the best accounts the number of slain Maratha soldiers numbered to about 200,000, while 22,000 prisoners, 50,000 horses and an immense booty fell into the hands of the victors". According to Mir Jafar Shamlu, the eyewitness of the battle, "Out of the vast army, consisting of three lacs and fifty thousands cavalry and infantry, only 50,000 souls succeeded in returning to the Deccan, after undergoing a thousands hardships and difficulties ;while the remainder pursued the path of perdition, either in the field or on the road , through the swords of the Holy warriors". In the words of Kashi Raj, "it was verily Doomsday for the Maratha people". Kashi Raj, another eyewitness of the battle, states "The day after the battle , the Shah, superbly dressed, rode round the field of battle , where he found thirty-two heaps of the slain of different numbers, most of them killed near each other , as they had fought ; besides these , the ditch of the Bhau's camp , and the jungles all around the neighborhood of Panipat , were filled with bodies. 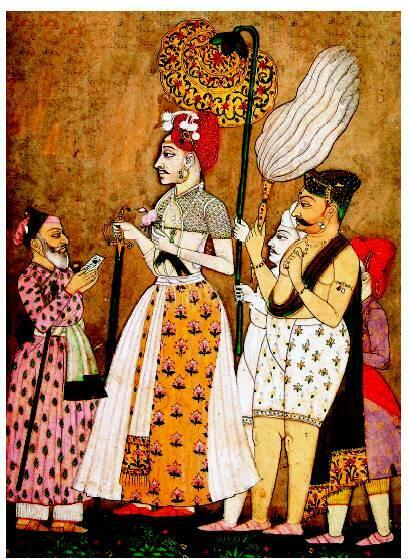 The Shah entered the town of Panipat, and, after visiting the shrine of Boo Ali Qalandar , he returned to his tents." 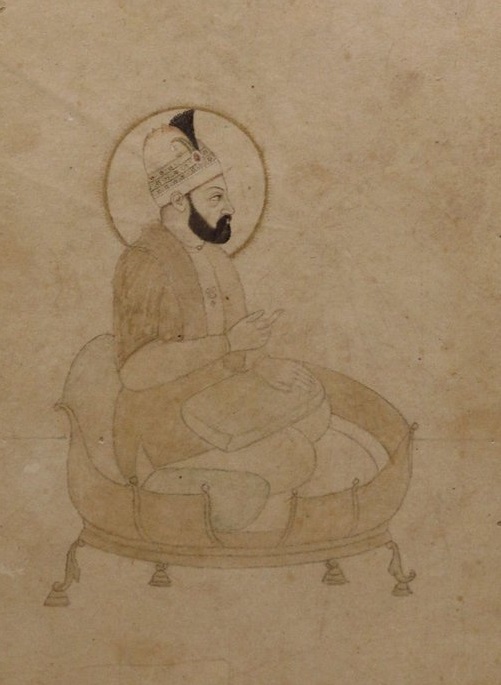 According to contemporary Tarikh-i-Ibrahim Khan (completed in 1786 AD), "Thirty two mounds of slain were counted , and the ditch , protected by artillery, of such immense length that it could contain several lakhs of human beings , beside cattle and baggage , was completely filled with dead bodies." Siya-ul-Mutakherin says, "The field of battle looked like a tract sown with tulips, and as far as sight could extend , nothing could be discovered but bodies stretched at the foot of bodies , as if they had been asleep, or marshaled by art". 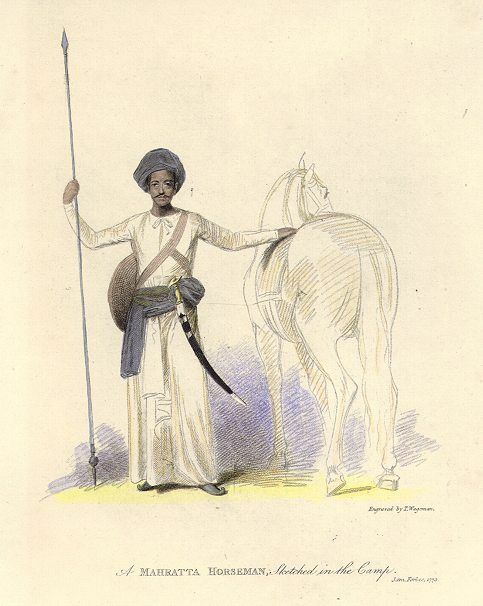 The Maratha general from battle of Panipat, Antaji Manakeshwar, on his way home was killed by the Baluch zamindars of Farrukhnagar , as also was Baji Hari. 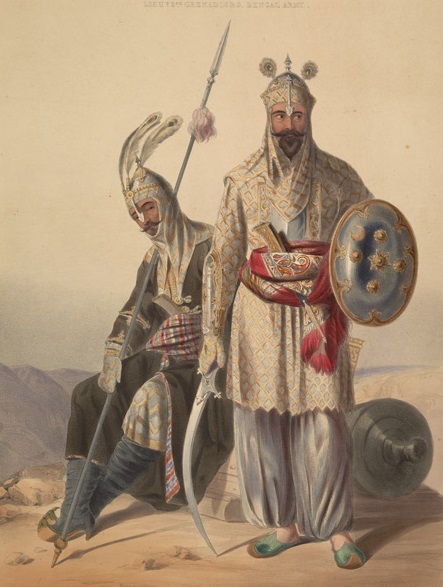 Musavi Khan Baluch, the lord of Farrukhnagar, was a protege of Najib-ud-Daulah and took part in the battle of Panipat. He had aided the Afghan cause by closing the roads west of Delhi to the Marathas and cutting off their straggler convoys and couriers. The Baluch zamindars of Bahadurgarh and Farrukhnagar recognized Antaji Manakeshwar by his horse and dress as a chieftain and slew him. Mahadji Schindia (who later emerged as great military figure) was overtaken by a Mughlia soldier in pursuit who took away Schindia's mare and accoutrements , and gave him a wound in the leg, saying; "this shall give you a mark to remember for years to come". The wound lamed him for life. In this manner, many other Maratha soldiers were simply given a wound and were not killed by the merciful among the Afghans. Siya-ul-Mutakherin says, "Some thousands Marathas, who had escaped the sword, and were rambling about without any commanders, were attacked by the peasantry, who, incited not only by that cowardly disposition which is innate with their vile nature , but also by the remembrance of what they had suffered from those freebooters , did not spare them , but began plundering , stripping , and killing as many as they could come at". Nana Farnavis, who later became influential minister and statesman of the Maratha Empire, was among the runaways from Panipat. He was caught up twice but because his youth (he was 16) and frail, lean figure elicited pity in the hearts of his assailants. "He is but a boy", they argued, "let him go". Among the prisoners were Ibrahim Khan Gardi and his son. When Ibrahim Khan Gardi was brought into presence of Ahmad Shah, the former pleaded to be employed in the service of the latter and in the words of eyewitness Kashi Raj, "he was ready to show the same zeal for him as he had done for the Bhau". But he was put to death on the orders of Ahmad Shah while his young son was released by Hafiz Rahmat Khan , and dismissed with a present. According to Tarikh-i-Ibrahim Khan, "Nearly 30,000 laborers too, who drew their origin from the Deccan, fell into captivity." According to Siya-ul-Mutakherin twenty two thousand women , girls and childern of both sexes fell into the hands of the Afghans. The body of the Bhau was burnt according to the rites of Hindus under the supervision of the grand Wazir Shah Wali Khan. The bodies of other Maratha leaders was also cremated and the ashes were sent to Benaras. Nana Peshawa, who had reached Maheshwar, on hearing the news of the defear, turned back in bewilderment and took the road to the Deccan. Near Bhilsa, his brain became affected ; very often he used to cry out for his son Wishwas Rao. In a few months he died. "Ahmad Shah entered Delhi. Wakil of the Jats came from the Jat forts and saw Abdali. The camp of Ahmad Shah was pitched near the city of Old Delhi. Rumours arose that he would march towards the Deccan. Najib gave the advice that, if the Shah went to Malwa , as vast amount (of tribute) would be collected. The Jat Rajah also agreed through Najib to pay a peshkash and send a contingent to accompany Abdali in this march. The Marathas also knew it for certain that Ahmad Shah would go to the Deccan. But the Durranis made a great row and said, "it is three years since we have been undergoing great hardships , and no profit whatever has come to us in this war. When Indian territory has been conquered, you have bestowed it on the Rohillas. As for the booty , the Rohillas have purchased these also from us at low prices , giving two annas for one rupee , and we had to sell by reason of our being hungry. If we had gained a victory of this sort in Iran or Turan and defeated army which was above one lakh, what gain would not have come to us in the form of horses, gold and silver?. But in the Maratha army all the men are with naked buttocks and without clothing, a stick is their sole weapon ; only mares which do not fetch more than four tumans each have been captured from them. We shall never stay in India this year." Besides this , owing to the summer heat , many soldiers and horses perished. In short, the Durranis urged it very strongly , and Ahmad Shah had no help but to retreat. Najib undertook to pay the expenses of the Durrani troops and said, "No fighting is now left to be done. If you go to Malwa , i shall bring Nizam Ali Khan to join you on the Narmada, and a spacious and rich kingdom would come into your possession." But Ahmad Shah , out of regard for the feelings of regiment of Khans , at once marched for Qandahar. Shuja and the Indo-Afghan sardars went back to their homes".